PawPaw Taxology are pleased to announce our participation in this independent event. 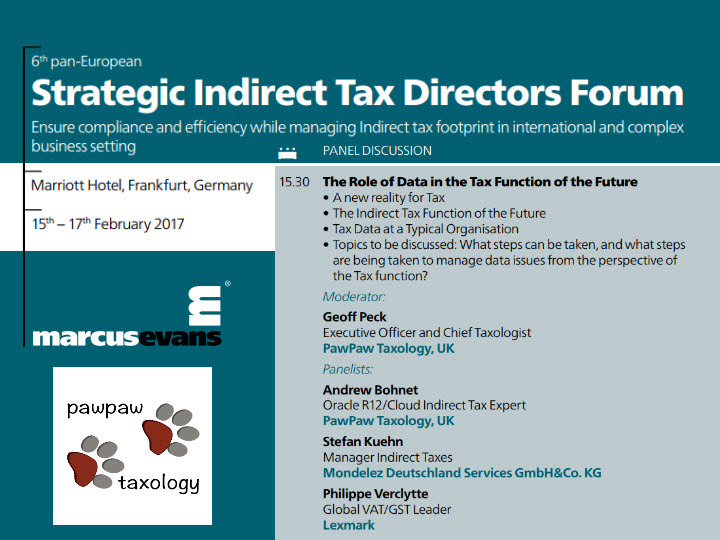 The conference will explore key topics facing today’s tax departments in an open and informative manner. If not already registered, we would be most pleased to see you there. Posted in Blog article and tagged globaltaxtechnology, Taxologist, TaxTechnology, vatautomation. ← Why do Taxologists need Data skills?